Merck & Co's PD-1 inhibitor Keytruda is more effective than chemotherapy when used first-line in previously-untreated patients with non-small cell lung cancer (NSCLC), according to a new study. The company - known as MSD outside the US - did not reveal details but said top-line results from the KEYNOTE-024 trial showed Keytruda (pembrolizumab) improved both progression-free survival and overall survival compared to platinum-based chemotherapy. 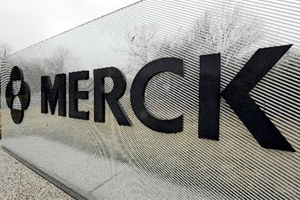 The data monitoring committee for the study had recommended it be stopped early after a clear benefit of Keytruda emerged, said Merck, allowing patients not on its drug to switch to the checkpoint inhibitor. It now plans to share the data with regulatory authorities in a bid to expand Keytruda's labelling in NSCLC. Roger Perlmutter, president of Merck Research Laboratories, said the KEYNOTE-024 findings "have the potential to change the therapeutic paradigm in first-line treatment of NSCLC". The positive results are a boost for Merck in its ongoing rivalry in the PD-1 inhibitor class with Bristol-Myers Squibb and its Opdivo (nivolumab) product, which is currently ahead in the market in terms of sales. Both Keytruda and Opdivo are approved for second-line treatment after chemotherapy in NSCLC patients, but Merck is the first of the two companies to have first-line data in hand. BMS' first-line trial - called CheckMate-026 - is due to generate its first results in November. The trial involved 305 patients whose tumours had a high proportion of PD-L1-expressing cells (50% or more). That is a slightly different population from CheckMate-026, which includes patients with a broader range of PD-L1 expression levels. PD-L1 is the ligand that binds to PD-1 receptors on cells. At the moment BMS' drug has an edge over Keytruda in NSCLC as it is approved for second-line therapy regardless of the PD-L1 status of patients, while Merck's drug is indicated for high PD-L1 expressors only and so requires diagnostic testing before use. In the first-line setting all patients will likely be required to have their PD-L1 status checked before the checkpoint inhibitors can be prescribed, pitting the two drugs in an even fight and potentially handing a first-mover advantage to Keytruda. At this year's American Society of Clinical Oncology (ASCO) conference, Merck also presented data from a first-line NSCLC treatment trial looking at the combination of Keytruda and chemotherapy, which suggested remarkable efficacy. Response rates ranged from 48% to 71%, with the highest effects seen in patients given a combination of Keytruda and Eli Lilly's blockbuster NSCLC therapy Alimta (pemetrexed).